Unceremoniously dumped on a highway with only a suitcase of essential items, Ha-dam (Jeong Ha-dam (정하담) is forced to quickly adapt to life on the streets of Busan City. 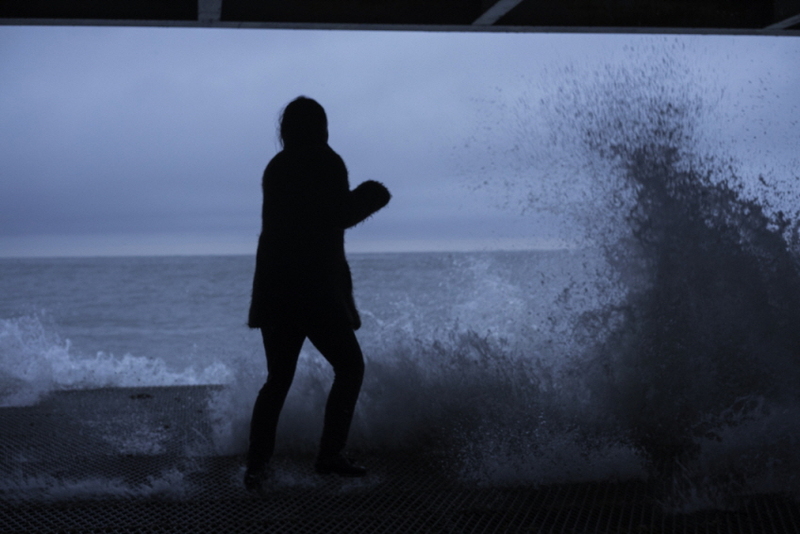 Scared, alone, and vulnerable, the homeless young woman flirts with suicide yet is determined to forge a path out of poverty, taking random service jobs to secure money and food. The locals, however, grow wise to Ha-dam’s situation and treat her abusively, though despite her trials she retains a passion for dance. The follow-up to last year’s Wild Flowers, director Park Suk-yong’s Steel Flower displays a marked improvement by the socially-conscious writer/helmer. Raw, provocative and featuring a potent feminist message, the indie drama explores the plight of homeless young women with an intensity and verve that often makes for challenging, as well as uncomfortable, viewing. 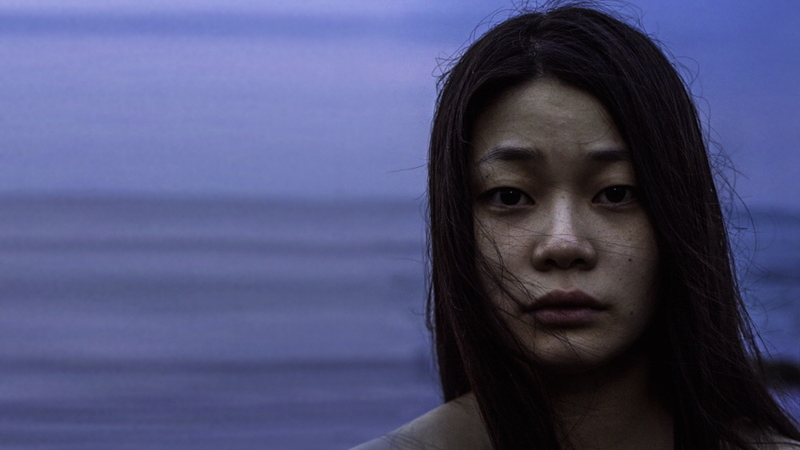 One of the main issues with director Park’s previous effort Wild Flowers – which also premiered at the Busan Film Festival – was that after beginning in incredibly strong fashion the narrative deviated away from its fascinating trio of homeless girls towards their less interesting male counterparts. The filmmaker has clearly listened to such criticism as Steel Flower is much more focused and concise, centralised entirely on Ha-dam’s plight which allows the story to fiercely examine the abject desperation of her situation. From the moment the drama begins director Park employs kinetic handheld camerawork that infuses the film with a raw organic energy and brisk pacing, invigorated further with some incredible long takes that add palpable realism, the fact of which is often a mixture of fascination and distress as the harsh realities of life on the streets are exposed. Steel Flower is also boasts some impressive cinematography, particularly in the underdeveloped and poverty stricken regions of Busan City. Disparity in wealth is acutely visualised through the landscapes and structures, as Ha-dam is forced to move away from the affluence of those at ground level, hiking ever higher up mountainous paths to locate a place of security amongst the economically challenged. The urban locations are also captured well as they feature an oppressive sensibility that seems to confine Ha-dam to the shadows, refusing to allow her to progress out of her homelessness and desperation. The decision to withhold the origins of Ha-dam’s abandonment is a smart move as she symbolises the vulnerability of all young women in Korea, yet the story falters somewhat as she continues to be a mystery for the entirety of the running time. Little is revealed about her personality, or her psychological and emotional torment, save that she is trying to survive in harsh conditions, which makes it problematic when attempting to forge an emotional connection with the character. Ha-dam’s erratic behaviour, meanwhile, is intriguing as she flits from quiet tenderness to hysterically deranged, conveying a form of mental illness which is unfortunately never really explored nor capitalised on. Her passion for dance is a key example; she is enamoured by tap dancing classes yet displays little talent for it, and as no other hints for her adoration are conveyed – save for the their symbolic purpose that she does, indeed, exist – it feels like a missed opportunity to explore her character in more depth. While little about Ha-dam is revealed, she ultimately serves as a cipher through which the story can expose a variety of hardships endured by homeless young women and, combined with its strong feminist message, serves to generate important social debates that are sorely needed. Steel Flower is director Park Suk-yong’s second film exploring the hardships of homeless young females, and is a big improvement for the socially-conscious filmmaker. Raw and provocative, the drama boasts effective kinetic camerawork infused with realism. While the mysterious nature of the central protagonist is somewhat problematic, Steel Flower is effective in raising potent social debate.